After the recent success of Vanya and Sonia and Masha and Spike! 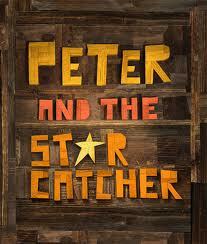 The It Factor Productions has gone on to back another Tony Award Winning Play, Peter and the Star Catcher, bringing from London to the US. PETER AND THE STARCATCHER is the five-time Tony Award winning musical play written by Tony Award nominee Rick Elice and directed by Tony Awardwinner Roger Rees and Tony Award nominee Alex Timbers. “The PETER AND THE STARCATCHER National Tour celebrated its official opening night on Wednesday, Aug. 21 at the Ellie Caulkins Opera House in Denver, CO. Check out a look back at the evening’s festivities below! The PETER AND THE STARCATCHER National Tour cast features Joey deBettencourt (Boy), Megan Stern (Molly), John Sanders (Black Stache) Harter Clingman (Alf), Jimonn Cole (Slank), Nathan Hosner (Lord Aster), Carl Howell (Prentiss), Ian Michael Stuart (Captain Scott), Benjamin Schrader (Mrs. Bumbrake) Luke Smith (Smee), Edward Tournier (Ted), Lee Zarrett (Fighting Prawn), Ben Beckley, Rob Neill, Rachel Prather and Nick Vidal. A grown up’s prequel to Peter Pan, PETER AND THE STARCATCHER is based on the best-selling novel by Dave Barry and Ridley Pearson. A company of a dozen actors play more than a hundred unforgettable characters, all on a journey to answer the century-old question: How did Peter Pan become The Boy Who Never Grew Up? This epic origin story of popular culture’s most enduring and beloved character proves that your imagination is the most captivating place in the world. Read the rest of the article on The It Factor Productions backed play here.